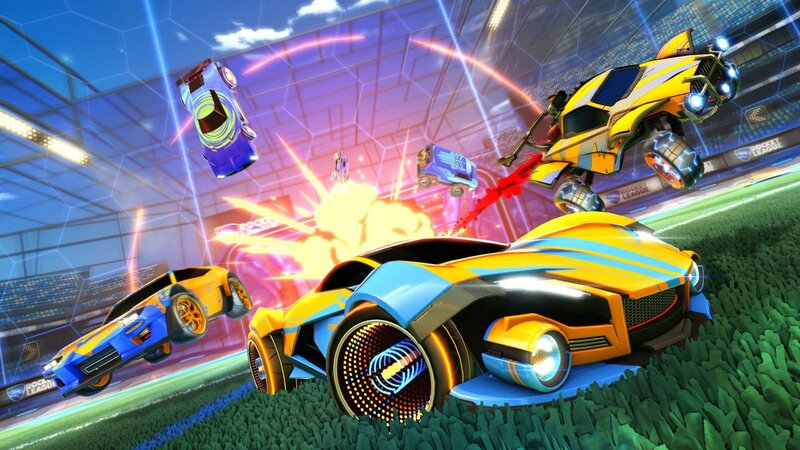 Think Football with cars, Rocket League allows you to be the footballing legend you've always dreamed of. Flip, fly and flick your way to victory in rocket powered vehicles of your own design. Featuring a bustling online community, with a casual mode for the player just looking for a good time and competitive mode for the player seeking more. Link up with a friend for an intense, teamwork focused 2v2, as well as the standard 3v3 mode. Or if teamwork isn’t your thing then a 1v1 option is also available. Competing is only one part of this massive game, there is also customisation for your very own car. With a seemingly infinite array of toppers, aerial attachments, wheel trims, colours and decals, you really can design the car of your dreams. A game that’s simple in concept but extremely difficult to master, every match will have you on the edge of your seat reeling in excitement. Rocket League truly has something for everyone!